When you look at the LinkedIn groups out there, one of the most important things to keep in mind is that you should join only those groups that are relevant to you. Although you might think it’s fun to join another alumni association group besides your alma mater, it won’t really help you in the long run. Click the Group logo found on the profile of one of your first-degree connections to join the group yourself. 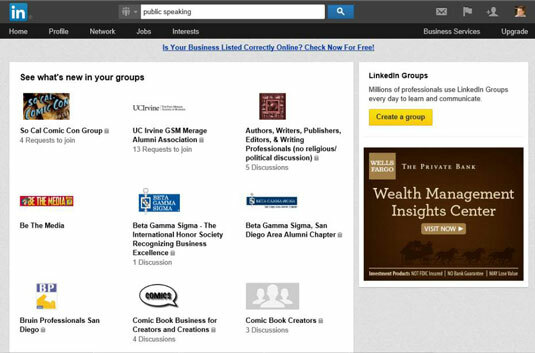 Search the LinkedIn Groups Directory to find a group that interests you, then click the logo to join the group. The first option may come about when you’re browsing your first-degree connections list, and you see a group that you’re interested in joining. After you click the logo, you simply click a Join This Group button on the next page that you see, and you’ve completed your part of the process. Keep in mind that some professional groups have special requirements and you may not be eligible to join. 1From the top navigation bar, hover your mouse over the Interests link and then click the Groups link in the drop-down list that appears. You’re taken to your Groups page on LinkedIn. 2Enter keywords in the text box at the top of the page. Use keywords to describe the group that interests you. 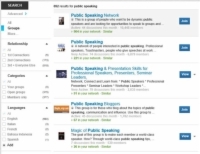 If you’re looking to join a group that promotes or encourages public speaking, for example, type public speaking into the text box. 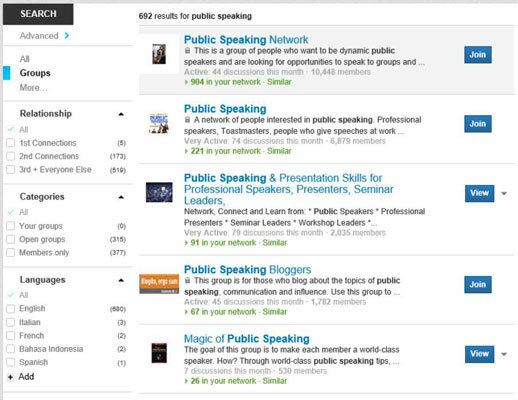 3Click the Search button (it looks like a magnifying glass) to see a list of groups that match your keywords. Go through the results list and read the descriptions of each group on the list. If you need more information about the group, click the group name to see that group’s summary page, which contains the group’s contact e-mail, owner information, and member count. From this page, you can also contact the group owner and send him a message requesting a few details about the group. 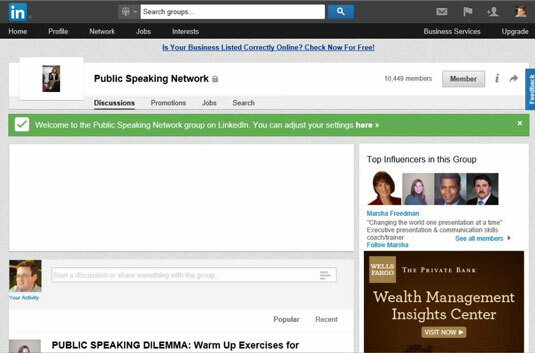 4Click the Join button to join the LinkedIn group. That’s it! You see a confirmation message and you’re taken back to that group’s home page. Depending on the requirements for membership, your request may be sent to the group manager for manual approval, instead of getting immediately approved, and if that occurs, you are returned to your Groups page from Step 1. As mentioned before, your request may not be approved depending on the criteria for that group.